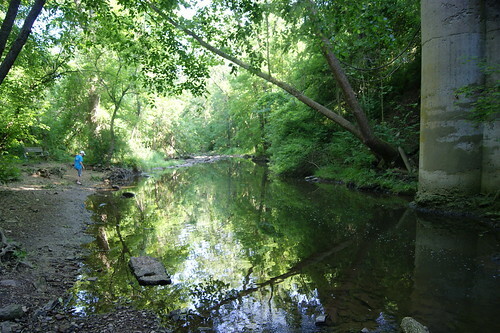 With nearly 700 acres, the Norristown Farm Park blends a rich history with the present day on the banks of Stony Creek. 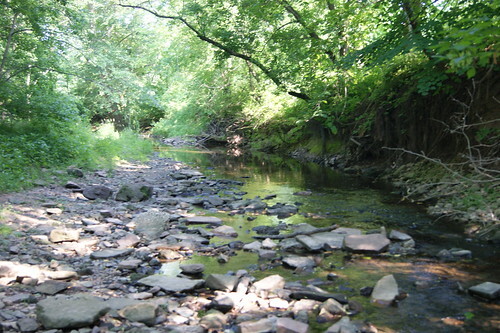 This site was originally part of a 7,000 acre tract owned by William Penn. 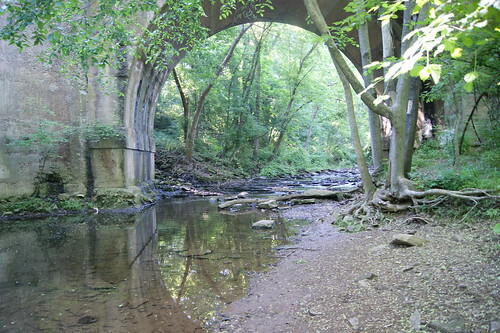 By the late 1800’s, nearby Norristown was a bustling place that drained waste from factories, slaughterhouses, breweries, refineries, mills, and a hospital directly into Stony Creek, making it “the most grossly polluted tributary of the entire (Schuylkill) river” according to an 1884 survey. Today, visitors can explore miles of hiking and biking trails, experience a fully operational farm, and appreciate colonial-era farm buildings and homes at Norristown Farm Park. With water quality greatly improved, they can also enjoy nature-watching and fishing in trout-stocked waters. Conditions in the Stony Creek have come a long way, but more monitoring is needed to fully understand the health of the watershed. 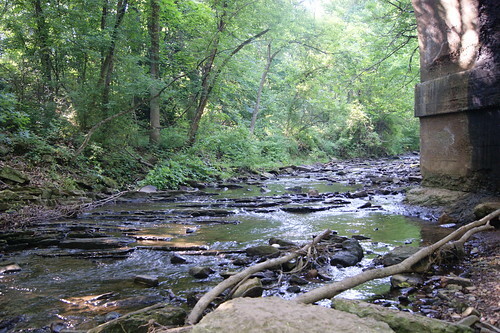 Along a steep bank of the creek near the High Arch Bridge, old shingles, brick, and construction debris had been cleared in a stream cleaning event. The removal of these objects caused a slump, or small landslide, which resulted in significant soil erosion into Stony Creek. Eroding stream banks load sediment into waterways, decreasing stream depth while increasing flooding potential and clouding aquatic habitats. 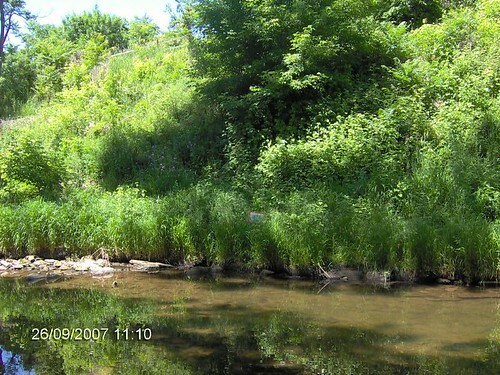 The increased heat, reduced visibility, and loss of gravel streambed in turbid waterways make it difficult for fish and other aquatic organisms to thrive. 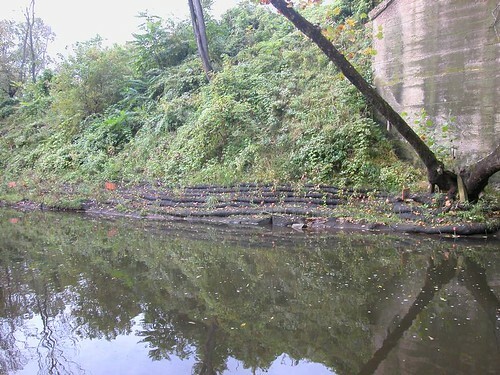 With the High Arch Bridge stream bank in dire need of support and stabilization, Schuylkill Watershed Initiative Grant funds were used by the Montgomery County Conservation District to purchase and install a Filltrex LivingWall product. At this site, the berm consists of a series of eight 125 foot-long erosion control tubes made of a biodegradable netting. These tubes are filled with a composted growing medium into which hundreds of plants (live stakes and plugs), and a riparian seed mix were planted. 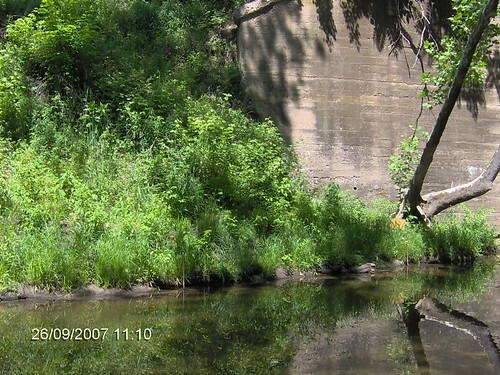 The vegetation was quickly established, and despite being submerged under water several times since the installation in 2005, it has held up and continued to protect Stony Creek from soil erosion at this site. 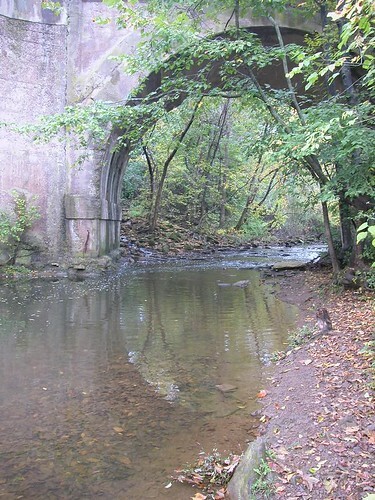 Requiring very little manpower to install, the Norristown Farm Park project demonstrates the potential for easy and efficient stream bank restoration projects, as well as the effectiveness of established vegetation. 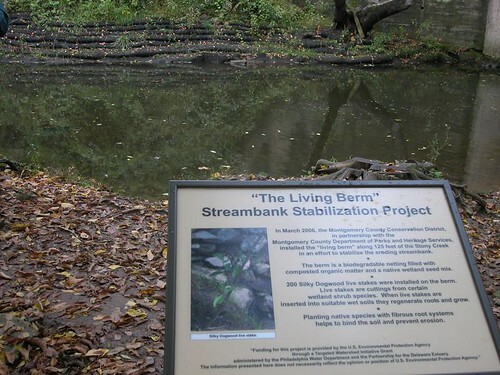 Signage at the site helps visitors understand how the living berm works to protect the stream.